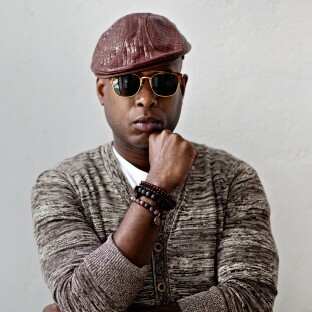 Talib Kweli is a widely acclaimed hip-hop artist and activist. A former member of the legendary hip-hop trio Black Star, as well as Idle Warship and the duo Reflection Eternal, he has collaborated with Kanye West, Justin Timberlake, Norah Jones and Neil Gaiman, among many others. 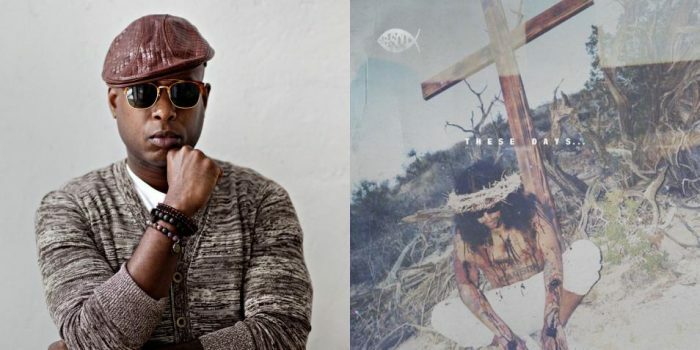 Kweli is the founder of the Javotti Media label, which released his sixth solo album Gravitas in February 2014. You can follow him on Twitter here and his website is here. Talib Kweli Greene (born October 3, 1975 in Brooklyn, New York) is an American MC known as one of the most prominent rappers in underground hip-hop, and is critically acclaimed frequently, despite not being commercially successful. Kweli first gained recognition through Black Star, a collaboration with fellow MC Mos Def. He released his solo debut album Quality in 2002 and has since released 2004's The Beautiful Struggle, 2005's mixtape album Right About Now, 2007's Eardrum, 2011's Gutter Rainbows and 2013's Prisoner of Conscious. He has also released two albums with Hi-Tek under the name Reflection Eternal and a collaboration album with Madlib in 2007 plus two albums with Res under the name Idle Warship. His name is Arabic, meaning 'the seeker' or 'student of truth and knowledge'. His parents were both college professors: his mother an English professor, his father a sociology professor. As a youth, he was drawn to Afrocentric rappers, such as De La Soul and other members of the Native Tongues Posse and in 1995 began recording with producer Hi-Tek and rapper Mos Def who he met at central park, and later attended New York University with. With Mos Def (together the pair were known as Black Star), Kweli achieved some mainstream success with Mos Def & Talib Kweli Are Black Star (1998). Also noted are Kweli and Mos' central input on Rawkus Records' compilation album Soundbombing (1997). Soundbombing also include collaborations between Kweli and DJ Hi Tek as Reflection Eternal. Together they released Train of Thought in 2000, which sold better than most alternative hip hop albums at the time. He has since released a critically acclaimed solo debut, Quality in 2002. In 2004, he released his second solo album, The Beautiful Struggle. His third solo album Ear Drum was released on August 21st, 2007. Kweli has created his own record label, Blacksmith Records and has recently signed acclaimed female rapper Jean Grae, with rumors continuing to grow that underground veteran MF Doom is the next artist to be picked up. He left Geffen Records and has signed with the Warner Music Group. He has since broken through slightly more towards the mainstream, thanks in large part to several appearance on the comedy show Chappelle's Show, both solo and with long-time collaborator Mos Def, this is due to a friendship between the host and creator of the show, comedian Dave Chappelle and the rapper. He also had a guest spot on friend and frequent collaborator Kanye West's widely successful debut album The College Dropout on the track "Get 'Em High". West has also produced some of Kweli's songs, including his biggest commercial hit "Get By". Kweli can also be seen in a commercial for the NCAA's Big Ten Conference, rapping about the league's basketball teams. Talib Kweli provided the voice for the main character, Trane, in the video game Marc Ecko's Getting Up, released in 2006. Read more on Last.fm. User-contributed text is available under the Creative Commons By-SA License; additional terms may apply.